This news conference was being seen directly in the United States and Cuba. The heads of both countries were answering the questions of the journalists from the smile. Mike CNNN reporter got caught and in a question-sensitive question on a very sensitive issue, on which the necks wandered and the eyes spread out of wonder.Reporter asked Cuban President Raúl Castro what the cause of political prisoners in Cuba is and why you do not release them? It was an afternoon in March 2016. After President Barack Obama’s historic visit, a joint press conference with Raúl Castro in Havana was doing. The CNN reporter was heard in the hall on Jim-Acosta’s question because it was the first time since 1950. When a foreign reporter Cuban’s leadership was directly addressed. Raúl Castro momentarily on the question of Jim-Acosta, changed the aspect and responded, let me list the names of all these political prisoners, I’ll let them go. The Cuban government has always been tired for freedom of journalism and has tried tens of fallouts. Nevertheless, someone took Mike from his hand on the question of Jim-Acosta, neither did they show the way out and did not confiscate the papers. Two years later, in his own land in America, where the drums of freedom of journalism and respect are severely beaten Jim-Acosta quoted a question entitled White House’s four-walled abusive behavior, such behavior did not happen in any country with them. Shortly, after the moderate election, Trump was press conference in White House. Press representatives included CNN reporter Jim-Acosta. Jim-Acosta is a CNN reporter in White House. He asked the trumpet why why you attack the Americans who are on the border with the Americans. Trumpy shook them on this question and said, Let the country run me, you just went CNN, if you run the CNN in the right direction, its rating would be better today. The trumps were not silent by saying so much and angered you, saying more, you are a miserable and dangerous man. Jim-Acosta listened to this trump with great patience and cared for the consequences, and further questioned Russian questioning. Now the trumpet is scattered and said it’s just a limit, it’s enough, Mike. After this, Mike was stripped from Jim-Acosta, and then his press card was confiscated, even though the CNN was reinstated by the court, but this whole incident proved. 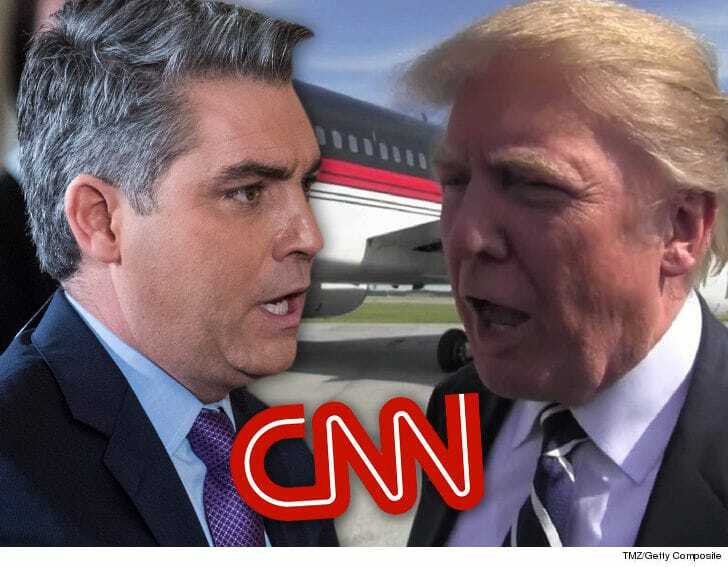 Jim-Acosta who grew up in Washington, after graduating from James Madison University, worked in various institutions, became part of the CNN in 2007. He has been known as a high-profile member in the press for the last three years, who has to come regularly to the White House. In the meantime, he repeatedly suffered the traum of the traum’s CNN. Jim-Acosta’s Reporting Stylist ABC reporter is associated with Donald Sun, an ABC reporter in the White House during the Ronald Reagan era. He wrote a book on his 16 years related to White House, entitled Hold on, Mr. Was the president in this, he told what he used to do to get the attention of the US President, because of the questioning questions it was given a very little opportunity to ask. He would be scared too far from the present American President, for whom he did not need any Mike. The current US President Trump had taken the media back from the media after taking office. Last year, he said that a fake news trophy should start which all corrupt television channels should meet. This breaks the statements of the American President’s favorite president (his point was on his side). This particular time he named CNN. The CNN and the Trump war increased when the Trump wrote in a tweet in November 2017, CNN is a big center of fake news. It represents our nation badly in the world; the outside world does not get the truth in their news. In response, CNN has broken down that it is not the CNN’s representation in the world of America. Our job is just news reporting. The war began with the election results of the Trumpet victory, when CNN President Jeff Zucker said while interviewing a magazine before the presidency. The CNN is the only channel seen in Beijing, Moscow, Seoul, Tokyo, Pyongyang, Baghdad, and Damascus. So the trump’s approach is the only way to reach the world. Therefore, the controversial attitude of the government with CNN will be a major mistake. In other words, he said that CNN would be better in favor of a better turnover. This statement was originally the beginning of the CNN and the Trump war. The Trump also coined CNN’s merely controversial behavior and as well as suspicious that they are being justified in the outside world. Just a day before the Tramp’s presidential inaugural ceremony in January 2017, Jim-Acosta questioned the Trump and Russia’s relationship. So Trumpy turned them badly and said, Not yours but your organization is dangerous. Jim-Acosta said on this, you’re constantly attacking us, what right to give you the right? Attacking our institution did we have any chance? Trump on this side said, “I will not give you an opportunity, you spread false news. In 2017, a new Riyadh and white rally in Virginia was unite The Right, the Jews who had a slogan of protesters could not take place in our place. There was also a rally in opposition to this rally, on which the vehicle climbed and several people were injured and a woman died. Trump said to reporters on the occasion that there were some bad guys on both sides but it was true that both good and bad people were present. Jim-Acosta shocked the head! There were no good people in the Nazi. Trump Akkasta’s tears remained on this side. In June this year, North Korean leader Kim Jong Un and Trump were responding to Trump press questions regarding negotiations. Jim-Acosta has some sensitive questions in his natural style. These questions went to the Trump Administration very bad and the 2020 election campaign called President Trump-based Campin Manager Brad Parscale. Press reporter’s press papers should be immediately seized. The answer to this threat Jim-Acosta said by the titler, Dairy Brad Parscale! The press card confirms the dotter shuttle, not democracy and today 4 months after the question of a question of Jim-Acosta’s press card in the US in question of questioning, is there a dictatorhip in America?